The Old Town Fuel and Fiber mill is seen in September 2014 in Old Town. Seven years ago, many in Maine held high hopes for a “marriage of manufacturing and technology” promised by a new owner of the longstanding Old Town mill. That owner, Patriarch Partners, planned — with the help of University of Maine researchers — to put Maine’s forests to work in a new way: by producing cellulosic, or wood-based, ethanol that would power our cars. A $30 million U.S. Department of Energy grant won by the mill’s previous owner, the bankrupt Red Shield Environmental, was supposed to help with the eventual launch of a biorefinery in Old Town. But the development of ethanol didn’t keep Patriarch Partners from going the way of Red Shield in 2014. When the mill reopened again under Wisconsin-based papermaker Expera Specialty Solutions in January, cellulosic ethanol wasn’t part of the business plan. Now, Expera plans to close up shop in Old Town at the end of the year. While it’s possible a new owner could restart a biorefinery at the mill, cellulosic ethanol has not proven to be economically viable, and some doubt it ever will be. The future of ethanol as a potential bright spot for Maine’s forest economy is less certain today than it looked a decade ago. While Expera opted not to continue operating the Old Town mill’s biorefinery, the university has continued work at its pilot plant on the mill’s campus. “UMaine’s biorefinery research program is ongoing,” Jake Ward, UMaine’s vice president of innovation and economic development, said. “Our R&D activity was not interrupted” by the August 2014 exit of Old Town Fuel and Fiber. Ward said the university is open to working with a new mill owner to restart a biorefinery, but whether the university’s work continues at the mill depends on that owner’s intentions for the site. The university’s research began back in 2006 when it received a $6.9 million National Science Foundation grant to fund its Forest Bioproducts Research Institute and support research into developing ethanol from Maine’s abundant supply of wood. The endgame was to enable the private sector to eventually create a viable biorefinery. The grant would help Maine “again propel forward in the critical research and development that will enable us to better compete in the 21st century economy,” Gov. John Baldacci said at the time. The university partnered with Red Shield and later Patriarch Partners to set up a pilot plant on the mill’s campus where much of this research could be put to work. Since then, Stephen Shaler, director of the UMaine School of Forest Resources, said that university faculty members have made “a tremendous amount of progress” with research into producing ethanol from wood. At the university’s pilot plant in Old Town, cellulose, or sugar, is extracted from wood before the pulping process. It’s then converted into ethanol, a process university researchers have helped to develop. Shaler said the pilot plant can process about one ton of wood per day, which could yield about half a ton of cellulose. While it can be used to produce fuel, it can also be used to make plastics and chemicals. By extracting cellulose from the wood before pulping, it still allows the wood to be made into pulp or paper, which have a higher value than ethanol. “Wood fuel tends to be of a lower value than other value-added products you can make from wood, such as pulp and lumber,” he said. If cellulosic ethanol is to become integrated into Maine’s forest economy, it needs to coexist, not compete, with existing pulp or paper production, Shaler said. The university has refined the technical process of converting cellulose from wood into ethanol, but Shaler said the leap to commercialization has proven elusive. UMaine economics professor Jonathan Rubin has studied alternative fuels and noted that cellulosic ethanol production is still a capital-intensive and costly process, meaning, at least for now, large-scale production isn’t cost-effective. A Congressional Research Service report published in January put the construction cost of one cellulosic ethanol plant, with a capacity of 30 million gallons per year, at $225 million. A corn ethanol plant that produces 40 million gallons annually, on the other hand, would cost $80 million. Higher startup costs and the uncertainty around cellulosic ethanol’s competitiveness “can potentially wreak havoc on [the] emerging industry,” the report states. Additionally, Rubin said falling crude oil prices have chipped away at the economic competitiveness of cellulosic ethanol. Crude oil prices have fallen to about $45.55 per barrel from more than $100 in mid-2014. As a result, the national average for gasoline prices had fallen to a 6½ year low of $2.27 a gallon, as of Oct. 19. The U.S. Energy Information Administration forecasts that prices will remain around their current mark through 2016. Less than a decade ago, federal energy policy offered hope that wood-based ethanol would one day be in demand. The Energy Independence and Security Act of 2007, signed into law by President George W. Bush, expanded the Renewable Fuel Standard, mandating that ethanol production reach 36 billion gallons annually by 2022. Sixteen billion gallons of that amount would come from cellulosic ethanol. Even with the role of cellulosic ethanol enshrined in law, production has never reached the legally prescribed levels. Ethanol derived from corn has a tight grip on the biofuel marketplace. In 2013, the U.S. consumed about 13.2 billion gallons of ethanol; 95 percent was sourced from corn and about 5 percent from sugarcane. (U.S. gasoline consumption, including ethanol, totaled 134.5 billion gallons.) Ethanol production in 2013 consumed about 5.1 million bushels of corn, or 38 percent of that year’s harvest. Perhaps it’s no surprise that the federal government has backed producers of corn-based ethanol with about $50 billion in subsidies since 2005, according to researchers from the Institute of Agriculture at the University of Tennessee. Meanwhile, cellulosic ethanol producers, who were expected to phase out reliance on corn-based fuel, have received about $928 million in federal support since 2007, by one estimate. Since cellulosic ethanol production has fallen well short of the levels mandated under the Renewable Fuel Standard, the U.S. Environmental Protection Agency repeatedly has slashed the mandate every year since 2010. In 2013, the EPA cut the production mandate to 810,185 gallons from 1 billion. Even with scaled-back mandates, production reached only 510,000 gallons in 2013, according to the U.S. Department of Energy’s Alternative Fuel Data Center, about 0.05 percent of the original goal. Failure to meet the legislated mandates has spurred talk of repealing the Renewable Fuel Standard, which could do away with a key part of the federal support that has propped up what little cellulosic ethanol production exists today. If this uncertainty continues, it could further undermine the ability of cellulosic ethanol to ever make its way into consumers’ gas tanks, much less produce jobs in rural Maine. The uncertainty around cellulosic ethanol could signal to a prospective Old Town mill buyer that a biorefinery operation may not be worth the cost. Still, while cellulosic ethanol hasn’t proven its economic viability, Shaler said finding new value-added forest products is necessary to make the forest economy more robust and resistant to market downturns. 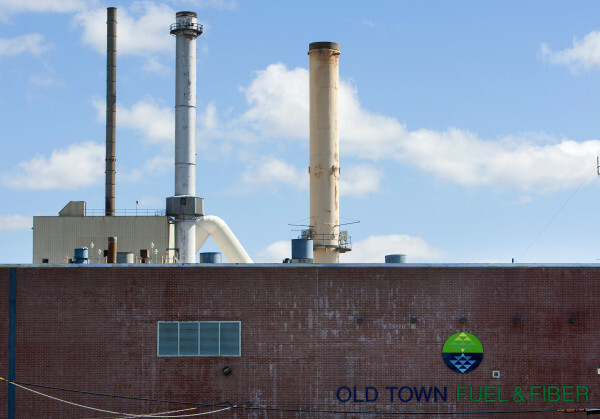 Correction: An earlier version of this report incorrectly stated that the University of Maine’s pilot plant at the Old Town mill can produce up to 10 tons of cellulose from wood a day. It can process about one ton of wood, which can yield about half a ton of cellulose that can be used to make fuel, chemicals and plastics.